In this period before the full moon, be connected to your Higher Self. Receive the energy that comes down from the Source into your I Am and absorb the energy of transformation. The energy that you understand by the name of Krishna will be enveloping you to bring the balance and power of transformation. This energy descends directly to reach the interior of each of you with each lunar exchange, specifically at the entrance of the full moon. Be in peace and involved in concentration with yourself, radiated from the peace that will come out in order to overflow from within. You no longer establish the connection through the coronary, but through the chakra of the heart. So you can perceive a differentiated energy that you have never felt before, to strengthen each one of you. The work of preparation began yesterday, when you could see that you were stronger in the face of adversity, no longer being tossed back and forth by the emotions overflowing from the environments that are embedded. In the face of adversity, you will remain self-centered, and the sensibility will reduce, but the force will envelop you to protect you from any manifestations of fear and insecurity before the lessons that life brings. You, brothers, are going through a moment of transformation of the planetary mesh, where you can see many changes occurring in your environment. But so that you can remain centered to be guided toward your true purposes, focus on the energy of Krishna. This energy will bring joy, determination, strength and protection, so that they are guided in the right direction according to the larger plane of transformation. This process occurs so that you can manifest planetary energy change in your own lives. In order to assume its true essences. All beings of light are working for planetary elevation, and in this period the planet is enveloped by intense transforming energy, potentiated by the Full Moon period, and it is when you can benefit from this energy to direct your own lives to your purposes Of soul. Remain centered on your own truths, allow the essence that is flaming intensely within you to expand into the outside in order to manifest the transformations in your own lives. This moment will be when you begin to show all your primordial truths, the inner light and the essence of soul. This opening happens gradually and you can benefit from this moment, where you will see the changes in your own lives manifested in order to bring your dreams of soul materialized during this year. Soul dreams, dear brothers, are often not what you perceive as a lack and result of fear, which was received and potentialized through the connection with the ancient planetary mesh. But it is those dreams that you can only discover, feel and observe, when connected to more subtle energies, which we bring intensely now. Meditate in this period, establishing the connection with the I Am, so that you receive this clarity of information, that will guide you in your walks, where you can observe to manifest what you will observe in these brief days of meditation and connection. Joy, love, peace and planetary transformation are already occurring and in the process of implementation. Each of you, as transforming agents of your own realities, must anchor within that energy for the transformation to take place definitely. Joy will take you, anchored in the strength of faith and inner purpose, strength will be your guide, but not that which causes resistance and wants to impose, the force of being at the center of life observing the events radiated from inner peace. It will be a strange sensation of joy, strength and peace, and so you may feel a little of how a master lives. In the ascended kingdoms, in the realms of light, it is this energy that prevails, that of joy, taken by an aura of protection and unshakeable confidence, which becomes a profound peace. And that Moon will bring some of that to you. Trust, my beloved, that beautiful changes are occurring in your world, thanks to the beautiful energies that surround you, especially that which you know as Krishna. But notice, beloved, that being in a state of mastery is not a place in the cosmos, but a state. Those you know as masters are not beings who live in special environments, but those who have been able to rise from your inner condition of joy and unshakeable faith, manifesting with a loving and pacifying force in everything that is Around you. And the energies that will bathe your world in those days will bring the joy of Krishna to you. Receive these energies by focusing, benefiting from your love, your joy, your trust in God, and your love for all. That is change, beloved ones. It is not something external. The manifestation of planetary change is not something that will change the world, but it will change its inner state, and that state will transform the world. It is the state of trust that manifests itself in the loving walk that radiates peace, light and trust, transforming everything around you. So, beloved, watch your lunar cycles, and surf the waves that bathe your world, recognizing the cycle of each time, every season, knowing that when you enter the Full Moon you will be full of yourself, complete, confident , And then enter again into a cycle of introspection and inner care, which will again revert to the inner growth and expansion that will be provided to each Full Moon. In that moment, recognize the strength, faith and joy that Krishna brings to you. They anchor this benevolence in love, relying on the expansion of their heart center that reverberates their love. Repeat: Itssaratie (palms), Itssaratie (palms), Itssaratie (palms). And recognize the love in your lives and so remain in peace, involved in our trust. 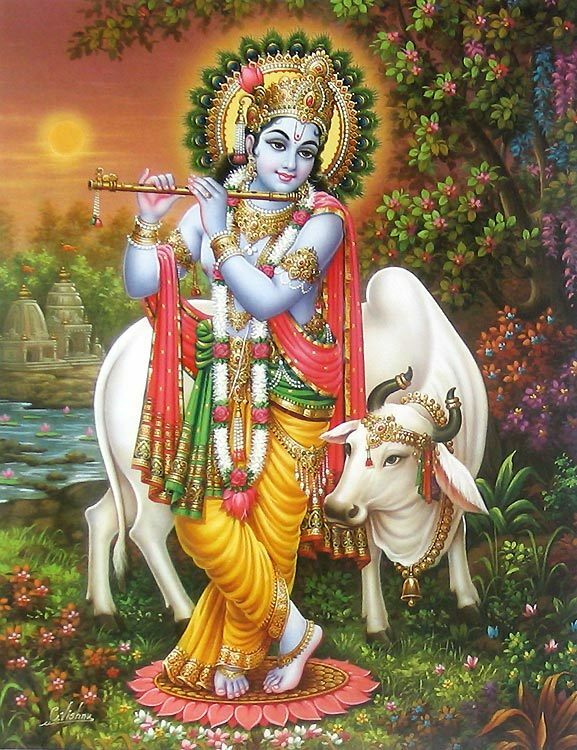 I am Krishna, the energy of purification, transformation and strength, through joy and manifestation of truth.